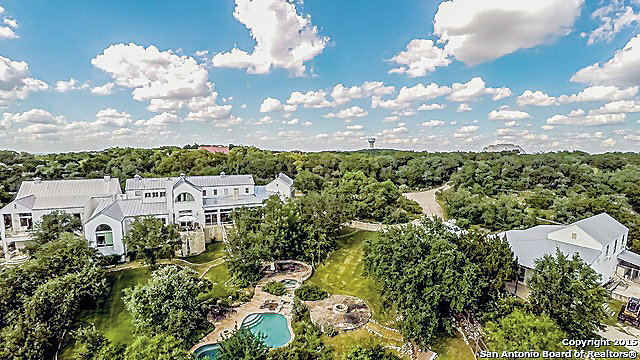 Single Family Detached - San Antonio, TX Absolutely the most gorgeous estate home on the market today. Modern & antique & hill country combined. 10k sq. ft main house w/ attached 1/1 apartment plus maid's quarters plus 1/1 garage apt. over the 7 car garage w/ grease pit & hunter's den. Unbelievable custom details- hand scraped (on site) wood floors, antique chandeliers & fireplaces, 17th century Spanish door bar, media rm, 1500+ bottle wine room & unique rooms. Adjacent 19+ acres w/cottage and custom horse barn & arena also available as package.